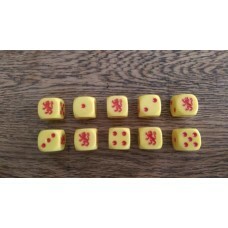 A Set of 10 Dice - Red Lion Rampant Dice (16mm). These custom designed di..
A Set of 28 Mixed Napoleonic Dice (16mm). 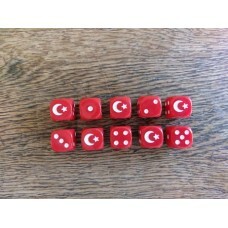 This set has two of each of the ..
A Set of 10 - Ottoman Empire Dice (16mm). These custom designed dice have ..
A Set of 10 - Ottoman Empire Dice with Dice Tin (16mm). 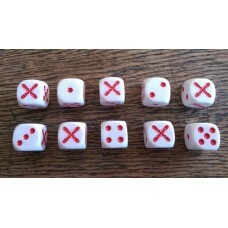 These custom desig..
A Set of 10 - Prussian Cross Dice (16mm). 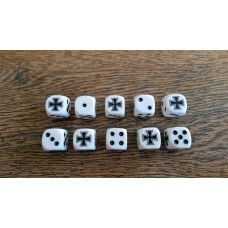 These custom designed dice have ..
A Set of 10 - Prussian Cross Dice with Dice Tin (16mm). 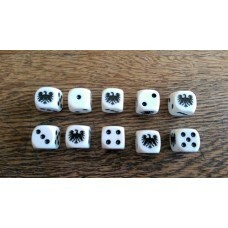 These custom desig..
A Set of 10 - Prussian Eagle Dice (16mm). 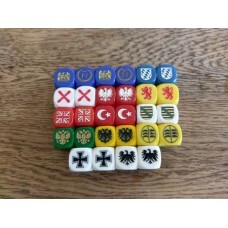 These custom designed dice have ..
A Set of 10 - Prussian Eagle Dice with Dice Tin (16mm). 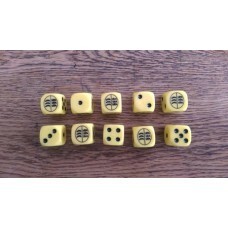 These custom desig..
A Set of 10 - Russian Eagle Dice (16mm). These custom designed dice have a..
A Set of 10 - Russian Eagle Dice with Dice Tin (16mm). These custom design..
A Set of 10 - Saxony Dice (16mm). 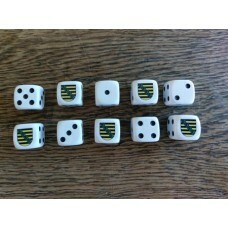 These custom designed dice have the Saxo..
A Set of 10 - Saxony Dice with Dice Tin (16mm). These custom designed dice..
A Set of 10 - Spanish Cross Dice (16mm). These custom designed dice have a..
A Set of 10 - Spanish Cross Dice with Dice Tin (16mm). 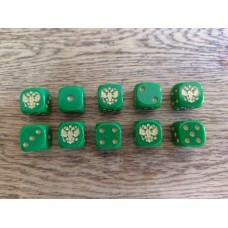 These custom design..
A Set of 10 - Wurttemburg Crest Dice (16mm). These custom designed dice ha..